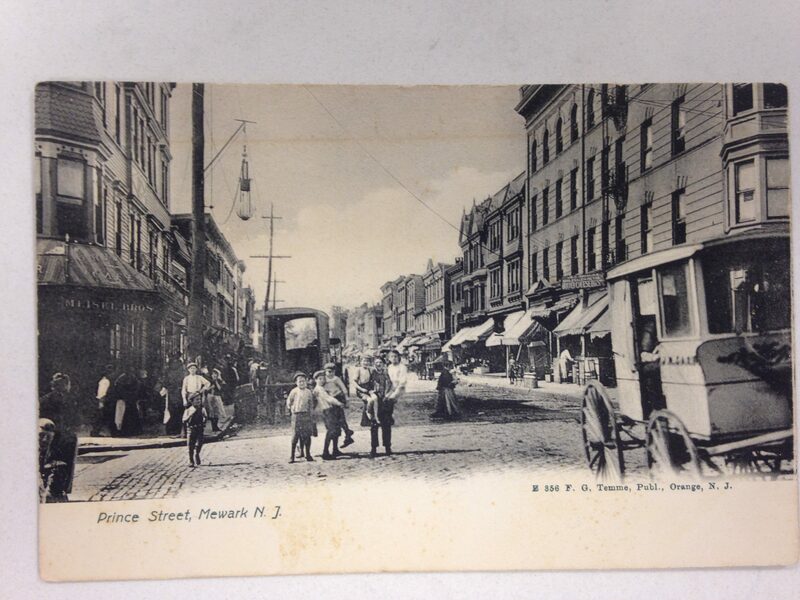 Prince Street was Newark’s version of New York’s lower east side. It was here that Newark’s Jewish population was concentrated in the early part of the twentieth century. Mostly poor, the residents lived in crowded cold water flats. The buildings all had a similar layout- retail on the street level and flats above. While sanitary facilities were limited in these buildings, Montgomery Street had a public bath house for the use of neighborhood. Many stores had items displayed on the sidewalk under their awnings. You could by anything from a kosher chicken to new pots and pans. Bargains abounded and the variety was unsurpassed! Some of these stores remained in business until the 1960’s, still providing bargains, long after their original clientele had departed. Many of the residents were of Eastern European origin, unlike the previous wave of Jewish immigrants who had been primarily German. Already well established , the German Jews sent up various organizations and charitable societies to help their newly arrived brethren learn English and acclimate to their new homeland. Very few of the structures visible in the post cards featured in this post still exist. One notable exception is, 32 Prince Street, the headquarters of The Newark Conservancy which occupies a former synagogue ,that was constructed in 1884. The building later became a church. In 1995 it was saved from demolition by a group of citizen activists. They created the beautiful garden and classroom building on the site where they provide environmental education, create urban farms, provide job training and so on. 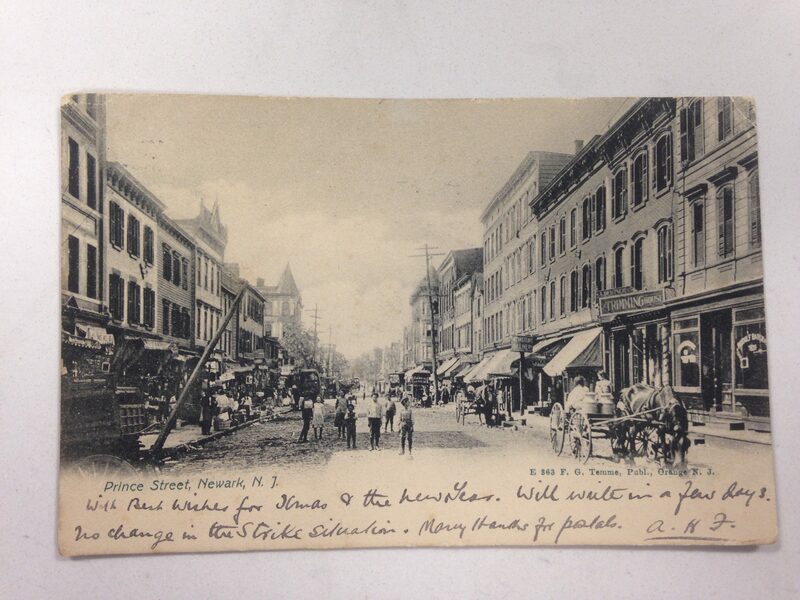 As an aside, both post cards were printed in Germany which was the norm prior to WWI. The name “Newark” is spelled as “Mewark” in the lead card in this post. I wondered why the card wasn’t returned to the vendor and corrected. That story is truly lost to history. Perhaps they simply said:” Oh just use the card no one will ever notice”!